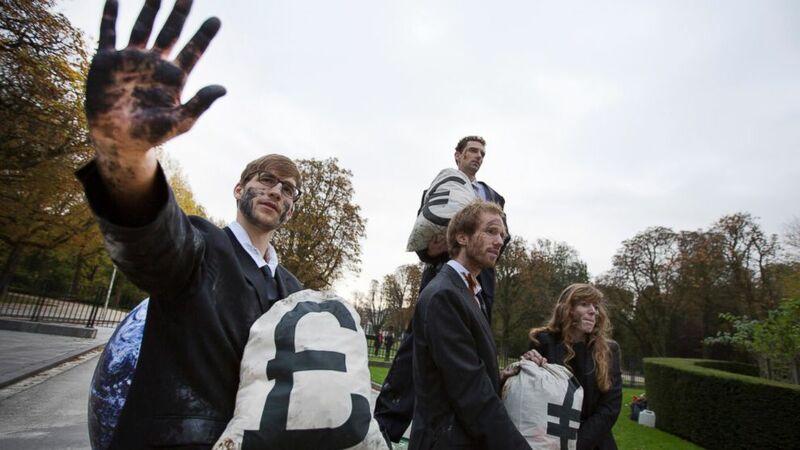 WARSAW, Poland (AP) — European Union leaders meeting in Brussels to stamp their new, ambitious greenhouse gas emissions plan should prepare for unyielding opposition from coal-reliant Poland and some other East European countries who say their developing economies and electricity bills would suffer too much from the new target. Poland is ready to veto the plan that would oblige 28 EU member states to jointly cut their greenhouse gas emissions to 40 percent below the 1990 levels by the year 2030. Making things ever harder for Eastern Europe’s restructuring industries that are largely carbon-driven, the EU wants climate-friendly, renewable energy to provide some 27 percent of the group’s needs and to raise its energy efficiency by a third in the next 16 years. Poland protests the pace is too fast and the target not realistic. But failure to seal the new goal at the two-day European summit starting Thursday would delay groundwork for a crucial global climate deal that is expected to be signed in Paris next year. A fiasco would undermine the EU’s position as leader in the global push to reduce the global carbon gas emissions that, most scientists say, are warming the climate and causing more weather anomalies like hurricanes or flooding. Last month Poland and five other countries that still rely on conventional energy said that while they agree with the need to cut the emissions, they will not be forced into any “legally binding” deals that overlook the realities of their economies, or the effort they have made so far. The reduction target “at EU level must be set realistically and in a technology neutral way,” said a statement signed by Poland, the Czech Republic, Bulgaria, Romania, Slovakia and Hungary. They argued that the biggest polluters like China or the United States are allowed to get away with ignoring the emission limits, which are currently set at a 20 percent reduction by 2020, with a 20 percent participation of renewable energy sources. The protesting countries say the planned new target is sure to raise their energy prices and slow down their developing industries at a time when they are emerging from the global economic crisis. “My government will not agree to documents that would mean additional costs for our economy and higher energy prices for the consumers,” Poland’s Prime Minister Ewa Kopacz said in a speech this month. Poland says a European plan should be changed to have more developed states take on a greater share of the economic costs. “We are still a developing country and we would like the others to let us continue the development,” the Foreign Ministry said in an email to The Associated Press. It noted that many other countries have problems with the proposal that is on the table, but did not specify. Almost 90 percent of Poland’s electricity comes from its black and brown coal. The nation intends to continue that way for decades because mining creates some 100,000 jobs and many thousand more in related sectors. Warsaw argues that green energy, large wind farms and solar panels are too expensive. Still, more than 10 percent of energy comes from renewable sources, like bio fuels and small wind farms, placed chiefly along the Baltic Sea coast. This is a good result, given that Poland’s target for 2020 is to have 15 percent of energy from environmentally friendly technologies, according to energy analyst Andrzej Szczesniak. Poland’s first nuclear power plant is still only on paper, but is expected to operate in the mid-2020s, while exploration continues for commercially viable shale gas deposits. Poland has reduced carbon gas emissions by 30 percent compared with 1988 levels, while expanding its economy by 130 percent. The use of energy by the industry has decreased by 7 percent per year since the early 1990s, compared with the EU’s average of 2.2 percent per year. That is partly the result of the closing of post-communist heavy industries while new, cleaner sectors like electronics emerge. “You can’t say that we are a dogmatic opponent of the climate policy,” the Foreign Ministry statement said. Alison Mutler in Bucharest, Karel Janicek in Prague, Veselin Toshkov in Sofia and Pablo Gorondi in Budapest contributed to this story.